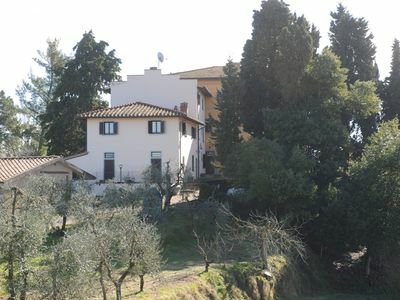 Casa Miretta A is a graceful two-story apartment that is part of an ancient country house located on top of a small hill. It sleeps three people. 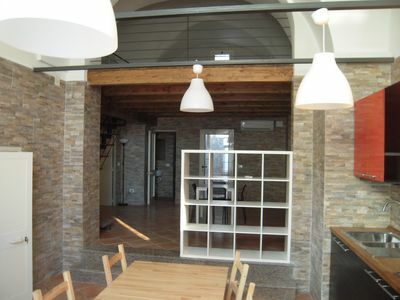 It is approximately 60 square meters (645 square feet). 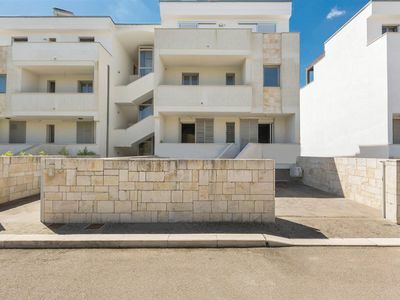 It features a shared swimming pool and a shared jacuzzi pool, a shared garden, a reserved outdoor area, winter heating and WI-FI Internet access. You will be roughly 4.5 km (2.8 miles) from Buonconvento, where you will find restaurants, shops and public transportation. 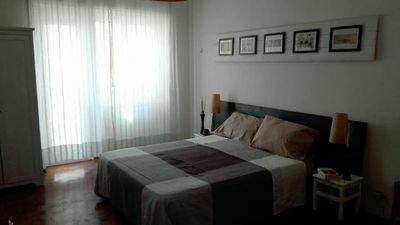 Casa Miretta A is located on the ground floor of an ancient farmhouse. 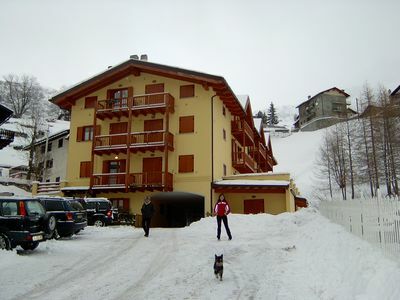 To stay at Casa Miretta A you will need a car. You will be able to park it on the premises, in a reserved parking space. Please note that access to Casa Miretta A is along a 4 kilometers (2.5 miles) unpaved road. 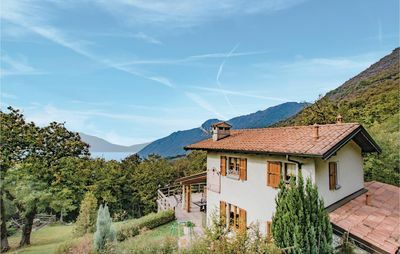 Casa Miretta A is one of the holiday homes available in a small complex (you can find these holiday homes on this website). Please find a general description of the complex below, and please scroll further down for a description of Casa Miretta A. 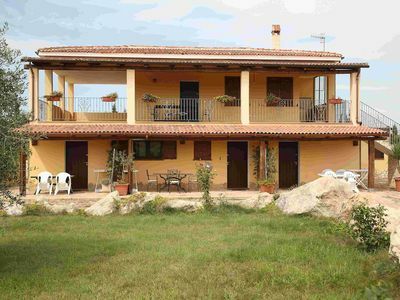 You will be in the countryside in an ancient stone farmhouse that has been restored for vacations. You will be on top of a small hill, and before your eyes you will have a wide panorama of the green hills of Siena, famous for their curvy rhythm like waves in the sea. 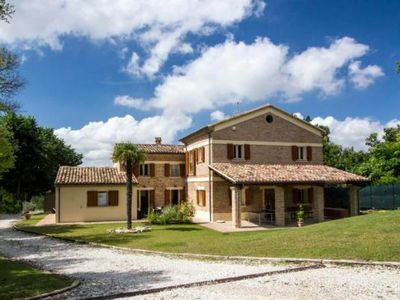 You can enjoy Siena&#39;s country charm in an expansive garden and the beautiful pool nearby. 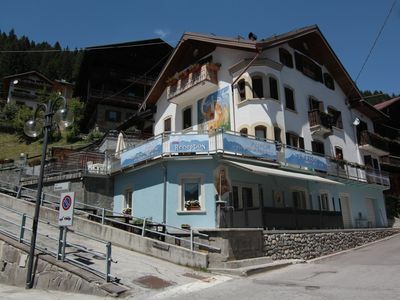 Two hundred meters below you will find the agriculture business that is part of Casa Miretta. You can visit it to see horses, donkeys, pigs, and chickens raised outdoors. It is possible to take horseback rides, for adults and children, guided by an expert. You can also make reservations for dinner with typical Tuscan dishes and local wines. 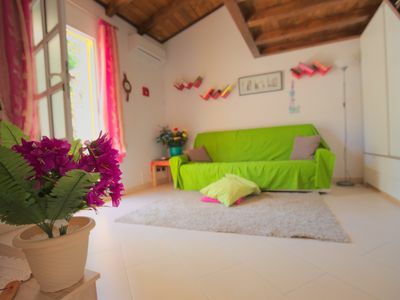 At Casa Miretta you will find two small apartments with entrances on the ground floor (Casa Miretta A and Casa Miretta B) and three double bedrooms located on the first floor of the same building. 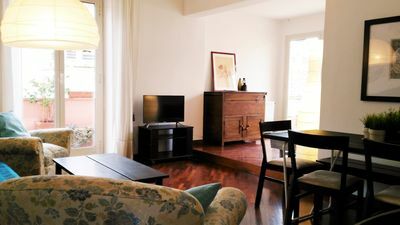 On the first floor of the building, you will also find a large living room with a fireplace that is available to all guests staying at Casa Miretta. In the building next door, at one time an antique barn, is Casa Miretta C. The garden and pool are shared. 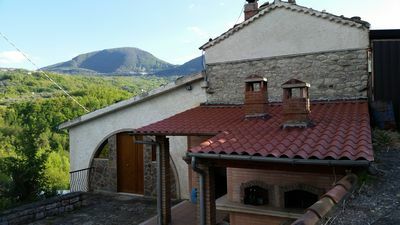 Staying at Casa Miretta you will be in a central position for visiting popular tourist sites like Siena, Montalcino, Pienza, Montepulciano, and local hot springs like the Vignoni Baths or the Rapolano Spa. The swimming pool is 6 meters (20 feet) large by 14 meters (46 feet) long, 1.5 meters (5 feet) deep. The swimming pool has a sinuous shape. The area is equipped with a table, chairs, sun umbrellas, sun loungers, an hammock and an external shower. From the swimming pool you will enjoy a marvelous view of the valley and of the hills. You will share the pool with the other guests staying at the complex. The swimming pool is open from the beginning of May until the end of September. The garden is 500 square meters (5380 square feet) large. It features an above-ground heated Jacuzzi pool with hydromassage with four seats. The garden is partly shaded by a gazebo and by cypresses. It is equipped with a table, chairs and sun umbrellas. Here you will also find a portable barbecue. 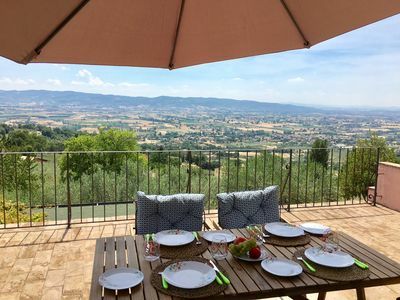 From the garden you will enjoy a spectacular view of the Senesi hills and of the Valdambra (Ambra Valley). You will share the garden with the other guests staying at the complex. In the garden there will be a reserved area for your own exclusive use. The garden is equipped with a table, chairs and a sun umbrella. 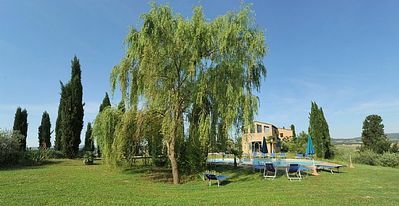 From the garden you will enjoy a nice view of the Tuscan countryside. The living room is paved with terracotta tiles. The ceiling has characteristic exposed wood beams and terracotta tiles. 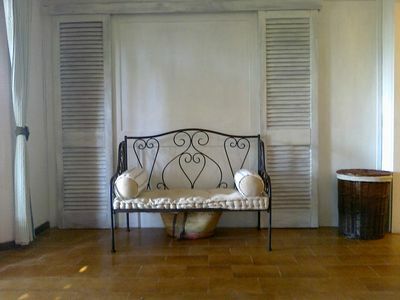 The furnishings are rural and characteristic of the Tuscan house. The furnishings include a leather sofa. In the living room you will also find a cooking area. 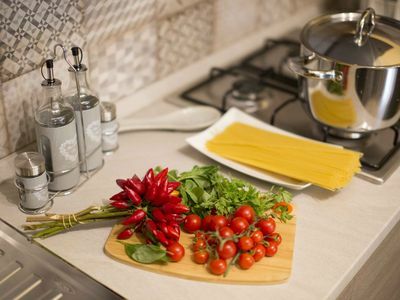 The kitchenette is equipped with a four-burner gas cooker, a small electric oven, a small refrigerator without freezer and an Italian-style coffee-maker. The dining table can accommodate three guests. 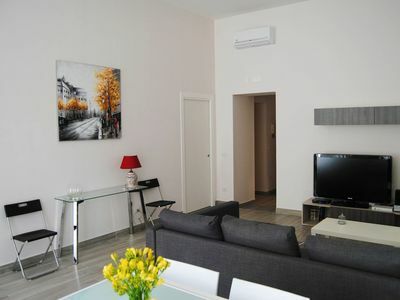 In this room you will find a satellite television (local channels). You will be able to enter the first bedroom from the living room. It has a wrought iron French bed (120 cm/47 inches). The room has a window with a view of the greenery. You will be able to enter the second bedroom from the living room going up a spiral staircase. 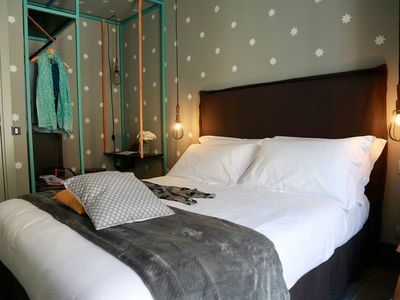 The bedroom has a wrought iron matrimonial bed (160 cm/62 inches, wider than a queen-size bed). The room has a window with a view of the greenery and of the hills. 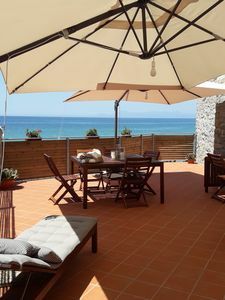 Apartment on the beach in Santa Maria di Castellabate (Sa) "Cilento".